BendTel’s flexible network provides Internet options for businesses of all sizes, from small offices all the way up to a large data center. 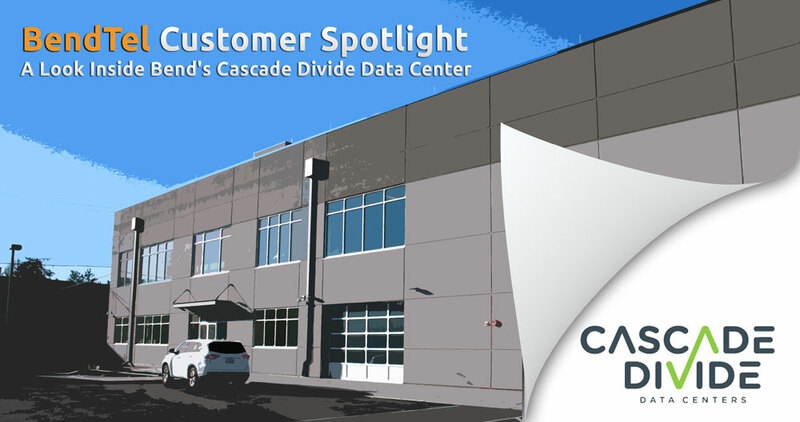 The Cascade Divide Data Center of Bend, completed in 2015, is a state-of-the-art 13,000 square foot facility designed to conform to Tier 3 reliability standards while conserving water & power. The top 3 priorities for any data center are power, cooling, and reliable Internet connectivity, according to Cascade’s VPO Troy Leffel. The facility’s ultra-efficient uninterruptible power supply & power distribution systems offer built-in redundancy and can handle upwards of 2 megawatts of electricity to operate without interruption in the event of power outages. Equally impressive is the system’s power efficiency: “There are two measurements by which the data center industry evaluates efficiency,” says Leffel. “The first efficiency measurement is Power Usage Effectiveness (PUE) and the second form of measurement, which is relatively new, is Water Usage Effectiveness (WUE).” The Cascade Divide facility is operating with a PUE score of 1.13, just slightly above the “perfect” efficiency score of 1.0, earning them the maximum tax credit allowed by the Oregon Energy Trust. The final operational priority is ensuring their clients always have an Internet connection. “A data center isn’t a data center if you can’t connect,” says Leffel. He notes that the types of carrier-class connectivity provided by BendTel’s fiber and Ethernet infrastructure are well-suited to the needs of their data center clients. The combination of BendTel’s Internet with Cascade Divide’s reliable, secure, and environmentally responsible data facilities make Bend an excellent place to locate your organization’s mission-critical computing equipment. More information about Cascade Divide can be found at the company’s website: CascadeDivide.com.